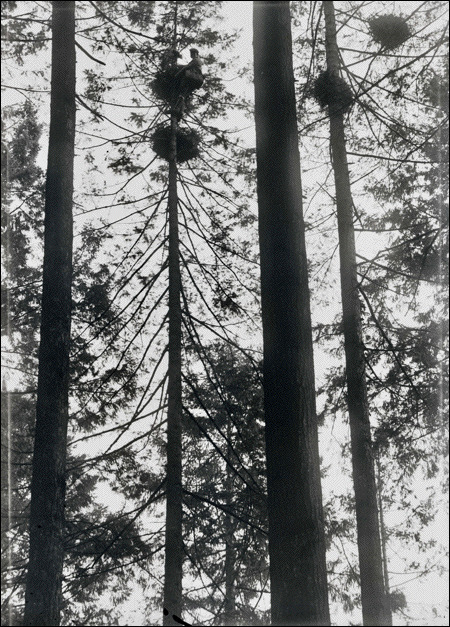 How to Photograph a Great Blue Heron Nest -- in 1901! If you're William Finley, this is what you do. 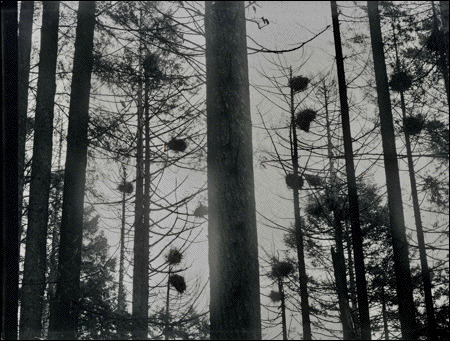 First, find a colony of nests. Hint: look up. They're 140 feet or so off the ground. Then grab your bulky camera (with glass plates) and start climbing and don't look down. A strap can be helpful. 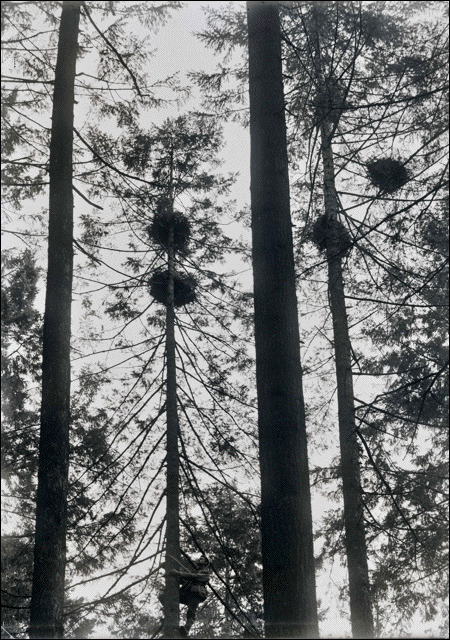 Now don't settle for the first nest you come to, go to the top one! Eventually, you get there, somehow shift and steady the stubborn camera, fumble with the plate, and, finally ... success! 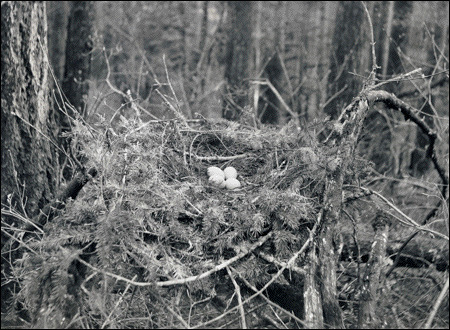 You've got a photo of a Great Blue Heron nest with four eggs! Simple, if you know how.